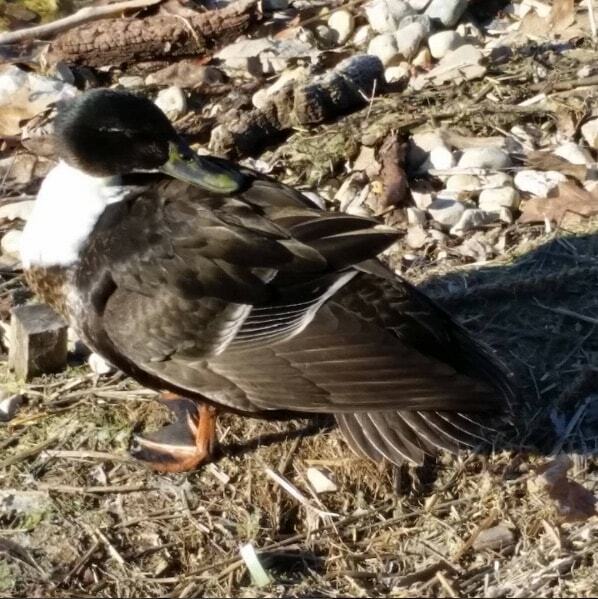 We saw this duck today on the edge of the lake while we were on our walk. We argued for a while over what kind of bird it was (Companion was convinced it was a gull until he caught the color of the bill), because white ducks are not a common thing around here. While it could be a leucistic (partially albino) mallard, my guess is that it’s a domestic white Campbell duck that got loose. It kept quacking at a nearby female or juvenile mallard who looked neither interested nor particularly annoyed, so maybe if it keeps following other ducks around, it will eventually find some friends. Judging by the half-dozen ducks I see each year that look like mallards, but no quite—because of large white patches on the breast, for example—domestic ducks are perfectly capable of not only finding friends in the wild, but friends with benefits. I took this photo last April, back when people were still laughing over the idea that a reality TV star could become president of the United States. 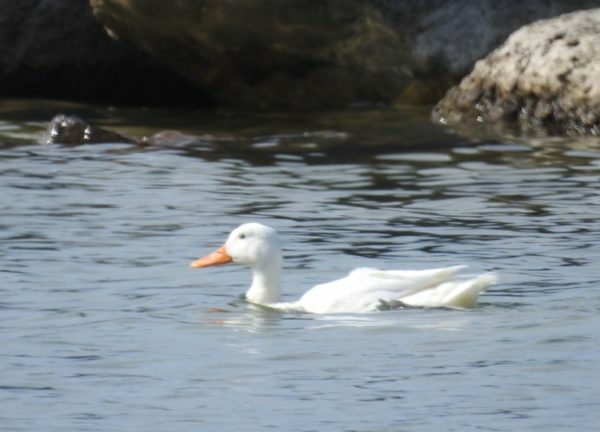 I took about a bazillion photos of the white duck with the telephoto setting on my camera, and all of them ended up blurry. I really need to remember to bring my monopod along on walks. Maybe if I used it like a hiking stick, I would.